Just a very short distance south of Caswell's at the summit of the incline on the Gorman Post Road, (formally the old Ridge Route). It was a trucker stop; tourists did not frequent Holland's in the early days. The Standard Oil gas station, garage and cafe were located on the East Side of the road. 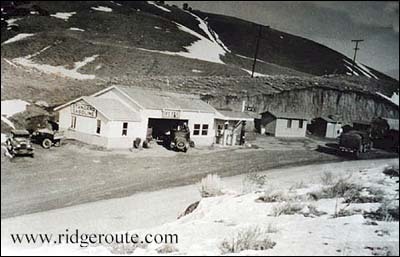 After the Ridge Alternate opened in 1933, Holland's relocated to the new highway.